Virtuoso Travel Professionals Carol MacKay & Rob Houston will work with you to fit your next Ocean or River Cruising Adventure, Tour , Resort, or Group experience. Consumer Protection B.C. registered travel advisers that offer more than 25 years of professional consulting experience helping clients plan and execute exciting memorable vacation experiences. Our client base has grown largely through referrals from satisfied clients. Please call us, write us or visit us in our office to find out why. 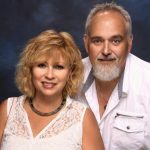 Carol Mackay & Rob Houston is an independent owner, affiliated with TPI.